Grew up with Zitko Basket (Serbia) youth teams. Moved to Fyrom on January'09, signed by Pelirtsr Bitola. 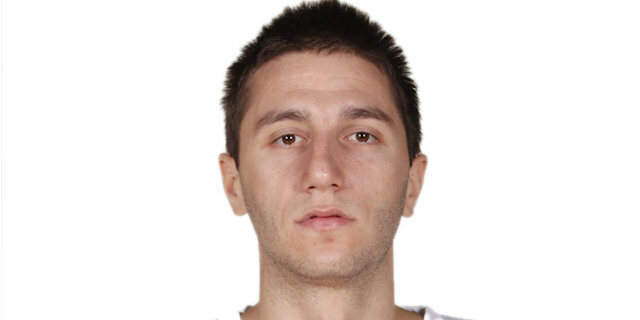 On March'09 moved to Serbia, signed by Lions Vrsac. In November'13 signed for the 2013-14 season by Metalac Valjevo. Moved to Bosnia-Herzegovina for the 2014-15 season, signed by BC Igokea Aleksandrovac. Moved to Romania for the 2016-17 season, signed by BC Timisoara. In February'17 back to Serbia, signed by Dynamic BG Beograd. Signed for the 2017-18 championship by BC Partizan Belgrade. Won the 2011-12 and 2012-13 Serbian National Championship with BC Partizan Belgrade. Won the 2014-15 and 2015-16 Bosnia-Herzegovina National Championship with BC Igokea Aleksandrovac. Won the 2012 and 2018 Serbian National Cup with BC Partizan Belgrade. Won the 2015 Bosnia-Herzegovina National Cup with BC Igokea Aleksandrovac. Has been member of the Serbian U-19 and U-20 National Team. Won the gold medal at the 2008 European U-20 Championships.